Home Digestive Health Could the Treatment For the Cold Live In Your Stomach? The reason I’m writing this article today is because inside my home a common virus is wreaking havoc. That’s right, it’s the middle of winter and we’ve been sucker-punched by the cold. The common cold may be a misnomer. While we say it’s common in daily life, every cold we come down sick with is a variation of a type of virus called the rhinovirus. Rhino (which means nose) viruses form the genesis of most colds you’ll ever have in your life. The Rhinovirus is also different than the flu (influenza) so a distinction needs to be made for those who conflate the two with each other. All that to be said, if you want to improve your ability to fight viruses the answer may actually live inside your gut. And if it doesn’t now, then it could in the very near future. That’s because the health of your gut microbiome may influence how well your immune system is working. If your microbiome is in tip top shape, with billions upon billions of healthy bacteria working away to break your food down, then your immune system is likely functioning like a well-oiled machine. If, on the other hand, your microbiome has deviated past normal and is becoming unhealthy, it could interfere with how well your immune system fights outside forces and may end up causing you to become sick. Which is why I’d like to show you how probiotics may help you fight getting the common cold (and even the flu). For far too long the medical community has looked at the body as if it were made up of segmented parts. They didn’t (and some still don’t), look at human health and the human body as a composite of everything that goes on inside of our body. If I put a rock in your shoe and made you walk on it for the next 5 years do you imagine that what happens to your feet would one day affect other parts of your body? This is how gut health and immunity are linked. So imagine what may happen to your immune system if I put a rock in it? Ok, in this case, we’re speaking of a proverbial rock. The answer is many other aspects of your health would be negatively affected. The proverbial rock in this instance is an unsupported gut microbiome. Remember, everything you eat, all the nutrients you’re meant to absorb, work to fulfill a greater function in your body. And more than half of your immune system is found within your gut! Which is why the health of your immune system depends greatly on the amount of nutrients it can extract from the food you eat (and the supplements you take). Minerals like magnesium, zinc, selenium as well as vitamins like vitamin C, vitamin K2, vitamin B12 and antioxidants are all extracted from food and then synthesized into material your immune system will use to ward off attack. But if your microbiome isn’t fully supported then many of these nutrients will remain inert and will eventually pass right through you. This is why it’s incredibly important to support the health of your gut microbiome. And one of the best ways to do this is by increasing the number of probiotics you get in your diet. Probiotics. They’re talked about all the time. But do you really know what they are? Most people understand that probiotics are “good bacteria” that live in your gut. “Although people often think of bacteria and other microorganisms as harmful “germs,” many microorganisms help our bodies function properly. For example, bacteria that are normally present in our intestines help digest food, destroy disease-causing microorganisms, and produce vitamins. There are two key points in their definition I want you to know. First, probiotics are not a kind of bacteria that you add to your body to improve health. Instead, the bacteria are already there, living inside of you. And yet most people have so few of them living in their bodies that they can’t do their job effectively. And in many cases the low levels of these bacteria allow for the proliferation of bad bacteria. By introducing supplemental probiotics into your body, whether by supplements or in diet, you simply help those good bacteria get back to a healthy fighting weight so they can do the job your body needs them to do. Probiotics are needed to help breakdown food and turn your food into essential nutrients your body needs for total health. Think about it this way, Everyone knows oranges have vitamin C in them. But if you ate an orange and it wasn’t digested properly then the vitamin C is never absorbed into your bloodstream. Probiotics serve a metabolic function of deconstructing food and then helping assimilate nutrients into your tissue. 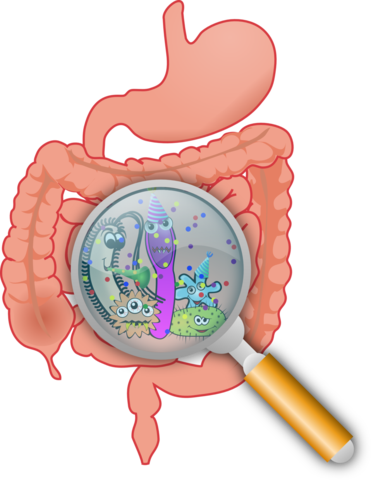 In an unsupported gut microbiome the healthy bacteria needed to break down food can’t extract nutrients from your food. So instead of health happening, bad bacteria run rampant and chaos ensues. When it comes to immune health your body simply cannot mount an effective immune response unless your gut microbiome is given every opportunity to function properly. Now that I’ve explained it this way, let me show you what the research shows about probiotics and immune health. As probiotics became increasingly popular more research will be performed on their benefits. Good news is in the past few years researchers have already made progress in discovering just how well probiotics help influence immune function. In a study published in Critical Reviews in Food Science Nutrition researchers concluded that taking probiotic supplements was associated with better health and less disease prevalence. They also discovered that supplementation of probiotic during pregnancy was associated with increased immune parameters (cord blood interferon (IFN)-γ levels, transforming growth factor (TGF)-β1 levels, and breast milk immunoglobulin (IgA) . In a study of men who push their immune system to the max (rugby players) researchers demonstrated players who took probiotic supplementations were able to fight colds better than rugby players in a control group. 1md.com wrote about the observational study. And in one of the most convincing studies, Chinese researchers published a study in the journal Synthetic and System Biotechnology showing people who frequently came down with the cold experienced fewer colds and colds with a shorter duration with probiotic supplementations. Studying 136 people aged 25–45 years old, they split the group down the middle and had one group take a placebo and the other take three strains of probiotic (Lactobacillus paracasei, Lactobacillus casei 431® and Lactobacillus fermentum PCC®) to see if their immune response to colds improved. At the conclusion of the study they concluded that probiotics could help increase the presence of a cytokine (proteins related to immune function) called Interferon–gamma (IFN–γ) in the blood as well as increasing the function of an immune antibody called IgA (SigA). The improvement in SigA and IFN-y levels would explain why the participants in the probiotic group had fewer incidences of cold and reduce severity. And this is just a handful of studies available implicating probiotics in immune improvement. Most of the time I say if you want to improve your health, the best way to do that is through diet. And in this case it’s no different. I’ve written an article about probiotic rich foods that I’ll link to here. However, I think if you want to jumpstart the restoration of your gut microbiome then taking a probiotic supplement is the way to go. This is why I created a 25 billion cfu, 10-strain probiotic to administer to my patients. This is one of the highest cfu (stands for colony-forming units – or available probiotic bacteria) around.And it gives you 10 strains of the most well-tested and most effective probiotic bacteria on the planet. I take one of these every morning. And I recommend them to anyone who wants to improve their gut microbiome to support immune health. Best of all is you can enjoy the health-boosting properties of this potent probiotic for only 33 cents a day. To get yours now click here or on the image below.